Texas' Higher Education Coordinating Board has released the second edition of its almanac of information on the state's college and universities. This year, for the first time, it includes data on part-time students as well as full-time ones. Texas higher education officials released the state's second annual higher education almanac on Tuesday, a publication designed to provide easily digestible information on every public college and university in the state, including average tuition and fees, students' average time to degree, and breakdowns on revenues and expenditures. Gov. Rick Perry also called on the Texas Higher Education Coordinating Board to follow up with colleges and universities to see how they are implementing cost efficiency measures he first raised in an executive order in 2009. Those include items such as "course redesign to improve quality and reduce instructional costs for more courses" and "articulation agreements between two-year and four-year institutions." In a letter sent to the coordinating board on Monday, Perry wrote, "We must continue to build upon the progress we have made in higher education to ensure that students, parents and taxpayers receive the greatest value for their investment." 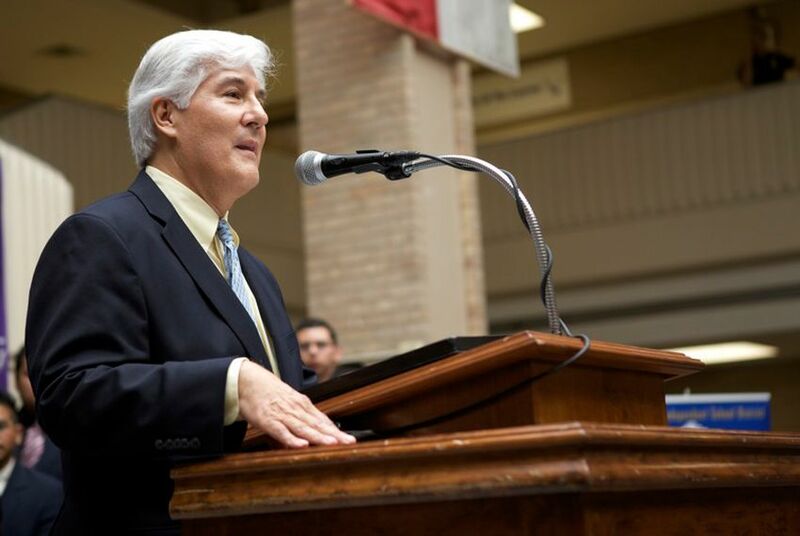 Texas Commissioner of Higher Education Raymund Paredes hopes the almanac provides a clear picture of that progress to date and how much more is needed. Before the release of last year's almanac, the first ever, he told the Tribune, “It occurred to me that it wasn’t sufficient to simply have the data available on our website. You need to put it in people's hands in order for it to really have an impact." Most of the data in this year's edition is the same as last year's, only updated with the most current data, which is from 2011. But there are some significant changes. This year, for the first time, the almanac includes data on graduation rates for part-time students as well as full-time students — numbers the Tribune will update later Tuesday in its graduation rate interactive. "We've heard a lot of critiques that we only talk about full-time students when we talk about student success," said coordinating board spokesman Dominic Chavez, "so we wanted to offer a more comprehensive picture." The new almanac also includes new pages highlighting hot topics such as transfer and completion rates. Coordinating board officials say this is part of an ongoing effort to make information about the state's public higher education system more easily accessible. On May 11, the board's newly designed data website — a separate project — went live. Officials are hoping users appreciate new features such as alerts when new resources are added or existing data is updated, while behind-the-scenes a new data loading tool is expected to speed up the process of getting information online. There appears to be an appetite for this sort of thing; Chavez said the coordinating board underestimated demand for last year's almanac, and that this year they have had to increase production. It will be distributed to all legislators and leaders in higher education, business, and public education throughtout the state.